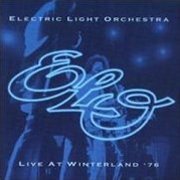 After the let-down of what are generally considered to be ELO's two 'Mellotron albums', A New World Record and Out of the Blue (reviewed below), it's gratifying to find that a live recording from the time, Live at Winterland '76, features the thing prominently. Going by the equipment lists on the aforementioned albums, they appear to list what the band used live rather than in the studio, which is an odd thing to put on a studio album, but there you go. I actually find this album far more palatable than the band's ultra-commercial late-'70s material, with opener Fire On High being an excellent proggy instrumental, and most of the other tracks falling into the 'non-offensive' category, which is a turn up for the books. Richard Tandy seems to have had a fairly small rig at this point; all I can hear is piano, Rhodes, Moog and loads of Mellotron, clearly deputising for the massed voices Jeff Lynne favoured in the studio. 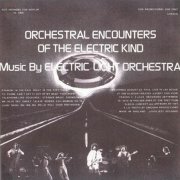 So, obvious choirs (8-voice, by the sound of it) on Fire On High, Poker and Nightrider, with what sounds like 'Tron strings on Showdown, although I was under the impression that the ELO machine wasn't loaded with strings, due to the presence of real ones, and had separate male and female choirs. A different tape frame? Anyway, more choirs on the lengthy Eldorado Suite (including Can't Get It Out Of My Head), although that appears to be it, with the latter half of their set unsurprisingly concentrating on their rockier efforts, including Do Ya, Ma Ma Ma Belle and their inimitable take on Chuck Berry's Roll Over Beethoven, complete with 'Beethoven's Fifth' intro. It's possible there's a bit more 'Tron hidden away here and there - are those choirs buried in the mix on Ma Ma Ma Belle? - but it doesn't seem that likely. 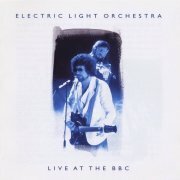 Two years on, and ELO were a global phenomenon, as they say, after their two monstrous hit albums. Unsurprisingly, Live at Wembley '78 concentrates on material from A New World Record and Out of the Blue, making for a rather blander set than on Winterland. To my knowledge, this is no more than the soundtrack to the DVD (originally video) of the concert, and isn't exactly the highest of fi, with some odd, 'straight-from-desk' levels cropping up here and there. It appears to be from some sort of Royal Gala performance, with the Duke and Duchess of Gloucester in attendance (non-Brits, don't worry about this bit), with no less a personage than Tony Curtis introducing them as "The greatest rock band in the world", which seems to be stretching things a tad. This setlist reminds me why I never really liked ELO; this doesn't really cut it as intelligent pop, and it's rock that doesn't rock, neither of which float my boat. Particular non-faves: Telephone Line, Wild West Hero and Livin' Thing, although I just can't decide whether the ridiculous Mr Blue Sky is genius or idiocy. Probably both. Tandy had expanded his rig by this time, the most notable addition being a polysynth (CS80? ), used heavily on several tracks, not least Telephone Line, although his 'Tron choirs (sounds like the separate male and female voices by this time) get reasonable use on about half the album. However, I feel cheated: the one bit I was actually looking forward to hearing, the end section of Mr Blue Sky, is missing. What? You know, the male voice bit over the stomping piano, performed by some choir from Munich on the original. Nope, it gets to the end of the song's main section, then just grinds to a halt. What a swizz. Anyway, not exactly a major 'Tron album, despite fairly heavy use. 1999's Live at the BBC is actually a glorious document of several eras of the band, stopping just short of The Cheese Years. Disc one is pre- their Mellotron use, but versions of full-on prog efforts such as From The Sun To The World and Kuiama make it well worth hearing for those (like me) who'd pretty much dismissed the band. Disc two cuts it fine on the cheese front in places, but still features some fine material, plus gobs of Tandy's M400, with strings and choir on Fire On High and Poker, choirs on Nightrider, strings on the On The Third Day medley and Showdown, choirs on Eldorado Overture/Can't Get It Out Of My Head, Poor Boy (The Greenwood), phased strings on Evil Woman and a brief choir part on Ma-Ma-Ma Belle. 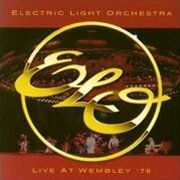 ELO started as a Move side-project, until Roy Wood left after their first album, leaving creative control entirely in the hands of ex-Idle Race man Jeff Lynne, who had always wanted to take the style of the Beatles' I Am The Walrus to its logical conclusion. By their seventh LP, 1976's A New World Record, the band were huge, and their trademark orchestral pop/rock had become an institution, untouchable by either punk or disco. If you're over a certain age, you're likely to know the bulk of the material on these two albums. Whether you like it or not is another matter... Personally, I'd be perfectly happy if I never had to hear any of the singles ever again, but there you go. 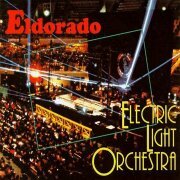 Mellotron-spotting on ELO albums is a futile activity, to be honest. Despite Richard Tandy's instrumental credits on both these albums, I'm absolutely assured that there's none to be heard. A correspondent of mine (hi Colin) used to know Hugh McDowell, one of the band's two cellists, who confirmed that not only is all the choir/strings work on the albums real, but the band's three-piece string section rarely featured, either. In fact, the album credits look far more like the band's stage setup than studio (what, they used their stage PA for recording? ), so those two mentions of a 'Mellotron 400' can effectively be discounted. So; do you bother? Well, you'll either like their very ('70s) mainstream style or not; liking the Beatles doesn't mean you'll like ELO, and vice versa. Personally, I wish they'd carried on taking a few risks, but they'd have sold fewer records, so there you go. Buy only if you like what they do anyway. Oh, and for what it's worth, there are a couple of live recordings available from the period, at least one of which definitely contains Tandy's 'Tron. Given the relative dearth of official ELO Mellotron releases, at least the bootleg world throws us a few morsels over which to salivate. 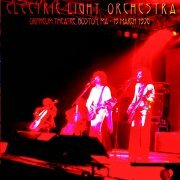 Their set at the Boston Orpheum in March '76 includes the various instrumental solo spots and several tracks missing from the official release from that tour, making it an essential listen for the fan, if less so for the rest of us. Plenty of Mellotron, albeit all choirs, heard on every highlighted track above to one degree or another. It occasionally rises to the top of the mix, but is mostly used for instrumental colouring. Of course, '78 boots feature large chunks of the bland Out of the Blue, although many previous tour highlights were retained in the set. Both Osaka '78 and Las Vegas '78 feature what sounds like complete (albeit slightly different) sets, unlike Live at Wembley, making them fan essentials, again. Tandy's Mellotron use seems to have been reined in, with a mere handful of relevant tracks on each release. Osaka gives us what sounds more like male choirs than the mixed variety on Fire On High, major use on Can't Get It Out Of My Head and a few chords at the end of Do Ya, although Tightrope's are almost subliminal, while we get surprise bursts of strings at the end of Evil Woman and choirs on Do Ya from Las Vegas. All in all, these are rather less essential than the '76 boot if the Mellotron use is your chief criterion (what, me? ).